Showing Network Coverage Made Simple. With our web based service PROGIRA® reach it’s easy for broadcast related companies to inform their TV viewers or the radio listeners of the reception quality in the service area. If you are a regulator for optimal usage of spectrum, or an operator planning for the roll-out of digital broadcasting networks, or you want to improve and analyse. PROGIRA® offers our clients this web based service, customised for their certain market needs as well as regulatory and technical conditions. The web application PROGIRA® reach can be offered as a part of PROGIRA® plan or as a standalone web service. The user is presented with a scrollable, zoomable map of a defined area. When the user clicks on a location on the map, two icons appear. These icons are bound together with a thin line (thin line only for rooftop reception) and show the position where the user clicked and the position of the best transmitter. Also, a third icon is showed, presenting a second-best transmitter in case the first choice does not work because of terrain obstacles or other problems. As an alternative to clicking on the map, a geocoding approach is also provided, where the user enters his an address and gets the desired transmitter information. Also, a coverage map is displayed, and there will be different coverage overlays for outdoor and indoor reception modes. Above is an example from our customer DR in Denmark. Easy to understand online visualization of network coverage map that indicates if service reception is considered to be possible or not – at home, at summer house, in caravan, in camper, in car, on foot, etc. STEP 1 – A detailed workshop meeting in order to set the scope of functionality by the PROGIRA®reach web service. The standard functionality is breifly descibed above. STEP 2 – Decide the source from where to generate the initial data needed by PROGIRA®reach. If you already have PROGIRA®plan you can generate the project data needed. 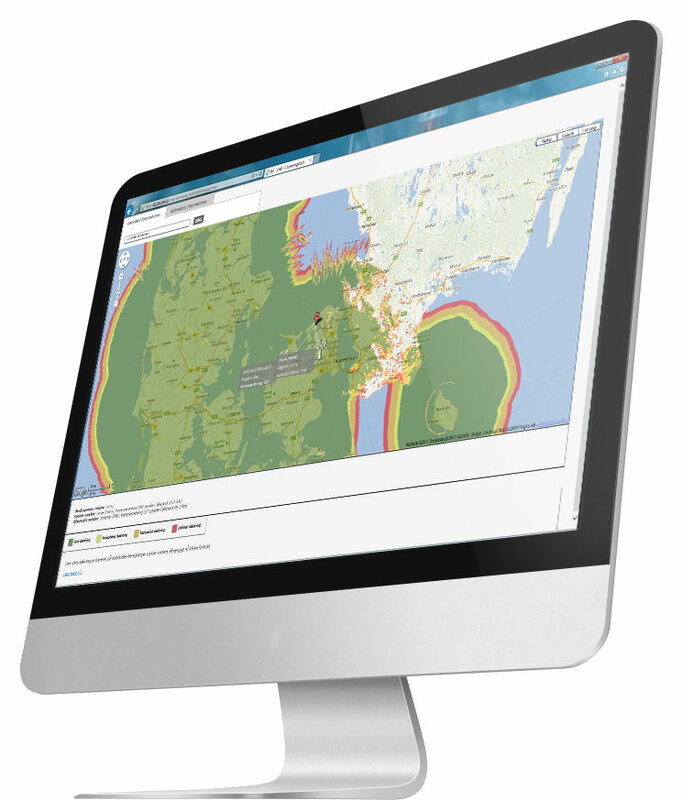 If you are using an alternative solution regarding coverage maps please contact PROGIRA to guide you how to generate data to be exported to PROGIRA®reach. PROGIRA can also help you to generate the data needed as a service. STEP 3 – PROGIRA®reach is installed on your web server. STEP 4 – Decide how you want the coverage maps to be updated. Either you do it yourself with our back-end support or you engage PROGIRA to handle it as a service. Please do not hesitate to contact PROGIRA® if there are any questions regarding PROGIRA® reach. 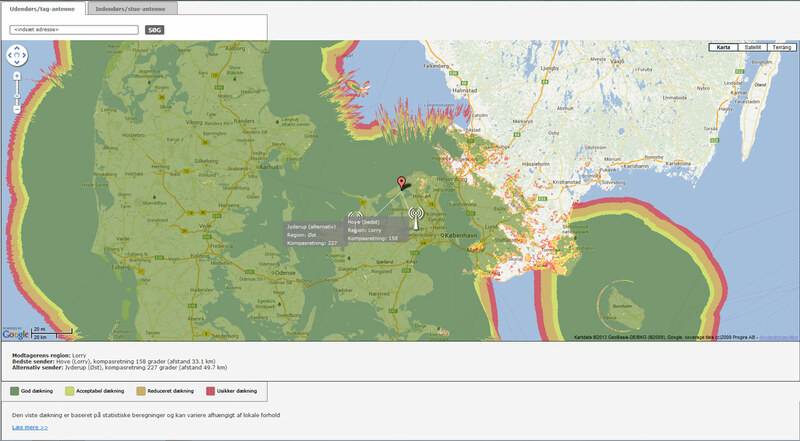 PROGIRA® reach is a web application for broadcasters and network operators to visualize their network coverage online. The product enables presentation of service coverage areas, for all possible receiving conditions, to their customers or internally in an easy and user-friendly way. PROGIRA® reach is the perfect tool to increase the support to end consumers, especially when there has been changes in the infrastructure. PROGIRA® reach also makes it easy to visualize and communicate network improvement plans internally.